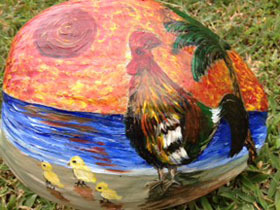 These are samples of painted coconuts. * Send us your request for any theme or design. 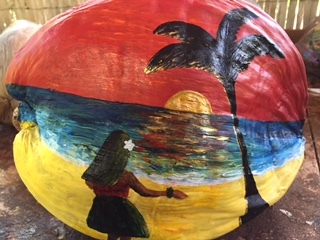 I will hand-paint on the coconut. 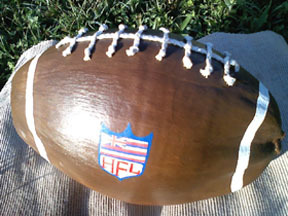 You can't beat my price of only $39.99 for hand painted coconut (include shipping in U.S.A) for a personalized coconut. 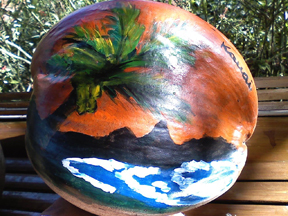 Our coconuts are collected with aloha on Kaua'i,Hawai'i. 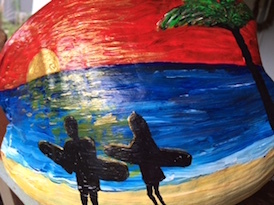 Whatever you want to say can be better said on a coconut, and they definitely will remember you for it. 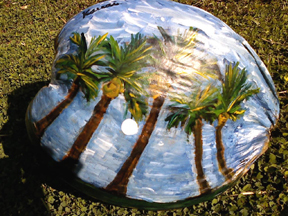 You don't have to live in the islands or even have visited the islands to send a coconut. 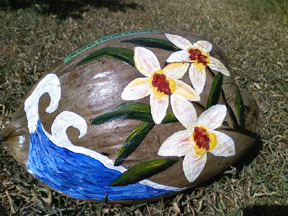 Anything that you want to say on a card or in a letter will make more of an impression when it's written on a coconut. 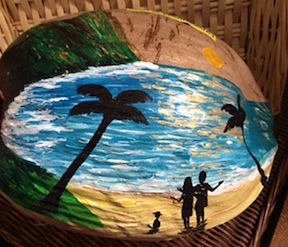 Coconuts are also a great way to send birthday cards, party invitations, announcements, and they make great party favors. . 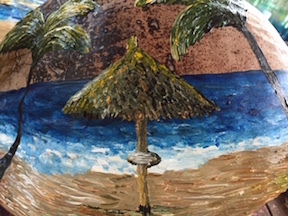 Ask me to paint of your favorite beach spot. Kauai has the most beautiful sunset you've ever seen. 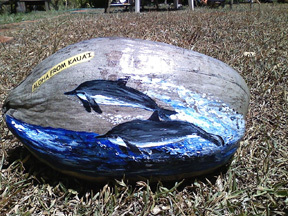 Bali Hai : Bali Hai is the nickname of Makana, a mystical mountain on Kaua'i's North. Because you can send them as a priority mail and it's much cooler than a letter.